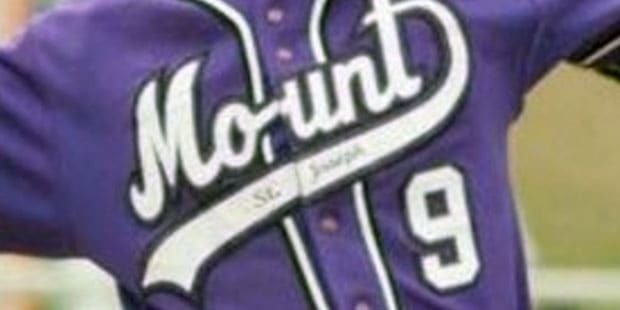 Rookie head coach Phillip Kraska has guided his Mount St. Joseph Gaels to unprecedented heights in high school baseball and the rankings that accompany the sport, Calvert Hall continued its climb and defending Class 2A State champion Century of Carroll County makes its first appearance to highlight this week’s VSN Baseball Top 20. After two straight losing seasons and a 76-70 cumulative record over the last five years, St. Joe is on the upswing under 2004 graduate and now coach Kraska who has led his alma mater to a 7-2 start overall and a believed to be record leap of 10 places in the VSN poll from No. 20 to No. 10. This past week propelled the Gaels’ surge. On Tuesday Brown University right-hander John Torroella, an MSABC preseason All-State choice, spun a no-hitter with 12 strikeouts to blank then No. 2 ranked Archbishop Spalding, 3-0. Two days later the Gaels defeated No. 9 Gilman, 8-5 to raise their MIAA A Conference record to 5-1, one game behind leader and No. 2 ranked Calvert Hall (12-2, 6-0). It was Gilman’s first league loss and the Greyhounds fell a game behind St. Joe when they lost their next conference contest by 8-2 to Spalding on Friday. Kraska, a reserve p-c-of, played on the 2004 team that last won the MIAA A Conference championship under coach Dave Norton, who is a member of the Anne Arundel County Sports Hall of Fame and the current principal of St. Joe, also his alma mater. The Irvington school would love to see history repeat itself in 2019. First-place Calvert Hall, last an A Conference champion in 2012 and 2013, had a down season in 2018 at 17-11 overall and a No. 15 ranking, but the Cardinals have come roaring back this spring. The Hall was a preseason No. 6 in the VSN poll and has moved up to No. 4 and No. 2 this week in the rankings and is riding an 8-game winning streak. Through their 14 games overall, the Redbirds have not lost locally after dropping a pair in a Florida Tournament and have totaled 129 runs which is an average of 9.2 runs per game. Defending A Conference champion Archbishop Curley is struggling while hanging on at No. 13 with its conference record at 3-4, three losses in a row and its overall at 4-5. The Friars host No. 1 Calvert Hall on Monday. Coming off its first baseball State Championship season at 20-3 and a No. 4 ranking in the final VSN 2018 Top 20, Century lost a boat load to graduation and the Carroll County champions weren’t expected to have a great season this spring. Coach Mike Marrale and his Knights weren’t buying that despite a rocky start. After rolling 15-3 over Westminster in their first game, the Knights were humbled 11-1 by Class 1A Patterson Mill and edged 4-3 by South Carroll. They have since reeled four straight to earn their way into the Top 20. Century leads Carroll County with a 4-1 record followed by Liberty (3-3, 3-2) and South Carroll (4-3, 3-3). The Knights and South Carroll are the only two of the seven Carroll County teams with winning overall records. 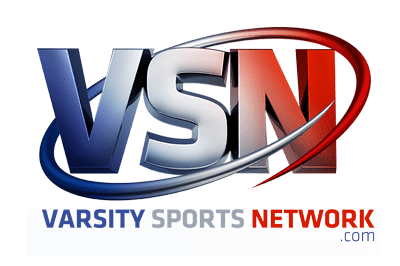 Editor’s note: The VSN Baseball Top 20 is compiled by veteran high school baseball writer and historian Pat O’Malley. He welcomes input from coaches on the poll. He can be reached at 410-647-2499 or patomalleysports@aol.com.